This will be an investigative workshop/rehearsal/rehydration of a book and big band that lots of the jazzers from the period raved about. Kids like Red Kelly, Marvin Thomas, Fred Greenwell, etc… They all said it was a great book, and a very modern band for the time… With Arrangements by Bob Hill (who passed away last Thursday) and Glenn Thomas. We will give it a reading and see what’s been hidden away since 1946. We’ll do some rendering, and make some recordings in “workshop” fashion for documentation to apply for a grant – for a more formal performance. We’ll even do some on-stage panel interviewing of Ronnie Pierce and the author of a new book about the “Sheriff,” along with some photos and historical perspectives. I came across many references to this band when researching the “Conversations & Deconstructions” piece. Ronnie has had the music locked away for a very long time – let’s see what all the fuss was about. Come on down for the spectacle! Tickets to the 2009 Ballard Jazz Festival (April 22-26) are on sale now with big discounts available to those who buy before April 1st. Vibraphonist Joe Locke returns after his monumental 2004 performance at The Ballard Jazz Festival which resulted in the live recording, Live in Seattle. He will be joined by Portland pianist Darrell Grant and Seattle musicians Thomas Marriott, Jeff Johnson and John Bishop. The Ballard Jazz Walk is bigger than ever with 19 groups performing in 12 venues all on a single ticket. Featured are locals Bill Ramsey and Jay Thomas, Hadley Caliman, John Stowell and Scenes, Tumbao, Kelley Johnson, Ben Thomas, Mark Taylor, Hans Teuber and more. New this year is an OA2 Records event at Leif Erikson Hall featuring the Seattle Women’s Jazz Orchestra and Cynthia Mullis & Third Hemisphere. Guitarist Corey Christiansen will be featured at a couple of events during the week starting with The Guitar Summit at The Sunset Tavern on Thursday, April 23. Christiansen will be joined by fellow guitarists Don Mock, Jay Roberts, Dave Peterson and John Stowell is different performances throughout the night. Also returning are The Brotherhood of the Drum and the Swedish Pancake Jazz Brunch. Jennifer Scott is a musical alchemist, a singer with a gift for transforming songs often dismissed as pop dross into jazz gold. Not that she makes a particular point out of dredging up Top 40 hits, but the Vancouver, B.C.-based Scott has set herself apart from the jazz-vocalist pack with her mesmerizing renditions of the most unlikely tunes. No song better exemplifies Scott’s fearless plunge into the back pages of the bubble-gum canon than her angst-ridden arrangement of Lesley Gore’s chart-topping 1963 lament “It’s My Party.” In Scott’s hands, the teenage tale of woe turns into a surprisingly taut musical melodrama, advanced by an insinuating bass line. She credits Worst with seeing the song’s potential, and doggedly campaigning for her to tackle it. Yesterday allaboutjazz.com featured a free track from Jason Parker. Today they have a free track from another musician with Seattle ties. Cornish alum Brad Shepik has a new CD out on the Songlines label. Visit allaboutjazz.com for a free track from his new CD, Human Activity Suite. For the past 10 years, high-school jazz bands from Washington state have accounted for nearly one-quarter of the finalists in the prestigious Essentially Ellington band competition in New York City. True to form, three schools from the Seattle area are sending bands to the 15-band Ellington competition in May: Garfield, Roosevelt and Newport. To raise money for travel expenses, those schools — along with the bands from Shorewood and Mountlake Terrace high schools, which have also competed at the Ellington finals — will perform a fundraising concert at 7:30 tonight at the Paramount Theatre (911 Pine St., Seattle). The concert, called Hot Java Cool Jazz and sponsored by Starbucks, raised more than $16,000 per school last year. Even the schools that do not compete in Ellington spend a lot of money to perform, travel and practice. 9pm – Tony Grasso Saxophone? Quartet! Today’s All About Jazz daily download features a track from trumpeter Jason Parker. The Pacific Jazz Institute at Dimitriou’s Jazz Alley presents pianist Marc Seales with special guest vocalist Rochelle House for one night only. Both artists are celebrating the release of new CD’s. Band members are Marc Seales (piano), Rochelle House (vocals), Thomas Marriott (trumpet), Evan Flory-Barnes (bass), Larry Barilleau (percussion) and D’Vonne Lewis (drums). Set time is 7:30pm and doors open at 6pm. Rochelle’s latest CD entitled Water, is being released on March 30th at Jazz Alley. This CD is her second collaboration with Marc Seales and also features Seattle jazz musicians D’Vonne Lewis, Evan Flory-Barnes, and Paul Rucker, as well as Cuong Vu. Rochelle House is a vocalist who understands, in a deep, lived sense, what she is singing about, and has the talents and tools to express it. Her debut disc Dreams of Love earned her a nomination for Earshot’s Golden Ear awards, in the vocalist of the year category. She demonstrates on Water that her debut was no fluke. Four of the nine compositions are originals, while the remainder of the selections really are selections: chosen for their sympathetic reinforcement of the album’s moods and pacing, as well as House’s own singular expressive talents. 7pm – David Maloney (of Reilly and Maloney) solo show! The Pacific Jazz Institute at Dimitriou’s Jazz Alley presents pianist and vocalist Tony DeSare touring in support of his latest release Radio Show. Band members joining Mr. De Sare are Mike Klopp (drums) and Mike Lee (bass). Set times Tuesday and Wednesday at 7:30pm. Doors open at 6:00pm Tuesday and 5:30pm Wednesday. The Tony DeSare Trio was one of the most popular bands in central New York State while DeSare attended Ithaca College. Shortly after moving to New York City in 1999, DeSare was cast as the star of the long running Off-Broadway musical, Our Sinatra. In the fall of 2002, DeSare performed at the Apollo Theater where he first met jazz guitar icon Bucky Pizarelli. 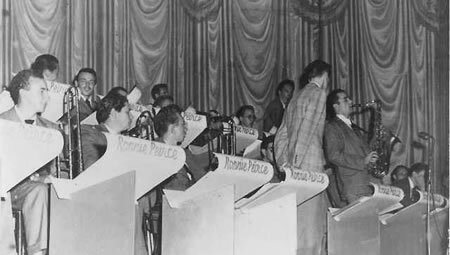 Since then, Pizzarelli has continued to perform with DeSare’s band around the country. DeSare’s latest recording, is entitled Radio Show and was recently released on January 20, 2009. The CD is a concept album that spans generations of pop music and all takes place in the realm of radio. Radio Show is an engaging affair because the smooth baritone singer-songwriter takes the old, mixes it with some new and offers a few originals for balance. The CD even features a duet with star jazz singer, Jane Monheit. Donny was Buddy Rich’s and Gene Krupa’s protégé. He’s the last link to the great drummers of the swing era. He will do a clinic and sign copies of his new DVD and book.